Bookly V8.0 - Book Appointments, Book Services, Book Anything! Easy and Fast Booking for Your Clients! 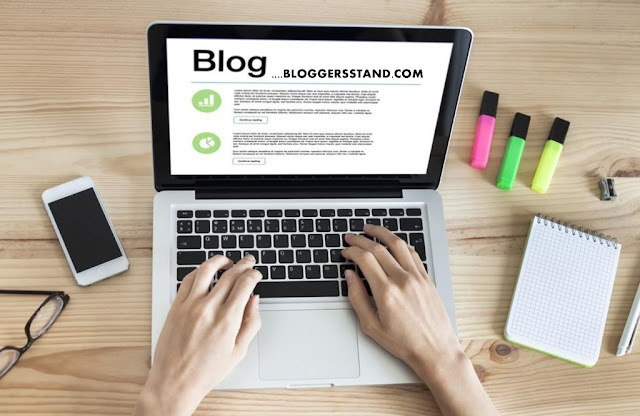 | BloggersStand ';-1!=b.indexOf("img.youtube.com")&&(a=' ');d=a+''+p+''+titlex+"
Bookly Plugin – is a great easy-to-use and easy-to-manage booking tool for service providers who think about their customers. The plugin supports a wide range of services provided by business and individuals who offer reservations through websites. Set up any reservation quickly, pleasantly and easily with Bookly! Bookly offers a unique solution to make the process of booking pleasant for customers – the only thing that is required from the client is to complete 5 easy steps. Intuitive interface as well as clear and attractive design makes this process extremely easy. Customers have possibility to find a convenient time, select service provider, book an appointment and pay for it. One more thing that will please your clients is the ability to view available time slots in their own time zone. Let’s say you have installed the Bookly plugin, but its default design doesn’t correspond to the appearance of your website. Our developers took care of everything – you can easily modify the booking form design according to your own needs. It’s possible to adjust the main color and change the fields’ titles and descriptions. The plugin offers easy and comfortable way of communication between service providers and customers by using e-mail and SMS notifications. There are several types of notifications for different cases – reminders, confirmations, follow-ups, agendas etc. You may also send notifications to your staff members, for example to give some information about the next agenda or appointment details. Website owner can manage all notification settings in the WP admin panel. Customizable calendar allows looking through appointments for either all or particular service provider and can be displayed in three modes, which are month, week and day. Administrators can also create new appointments and edit the existing ones. It is also possible to assign a color to each service for better identification. By entering your purchase code in Bookly -> Settings you will get access to Bookly updates that will let you always have the latest version of the plugin. 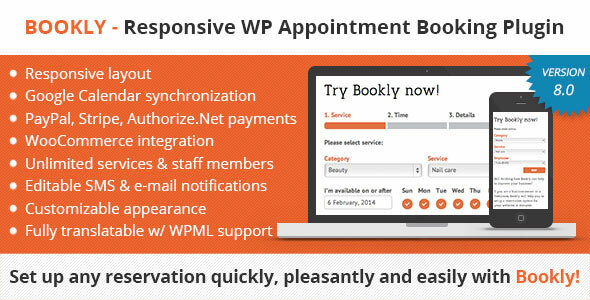 0 Comments on "Bookly V8.0 - Book Appointments, Book Services, Book Anything! Easy and Fast Booking for Your Clients!" So Far - Post Yours!